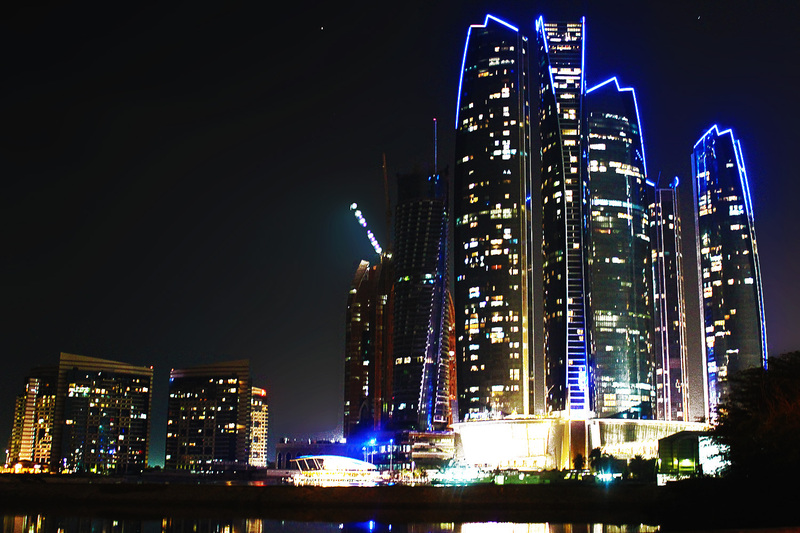 In recent years, Abu Dhabi has become synonymous with architectural ambition and splendor. It’s difficult to believe that 50 years ago this place was just a little more than a small fishing and pearling village at the edge of the desert and nowadays it’s sticking up above the horizon, all proud, with its shiny, intense and visually stunning buildings. You can imagine how hard it was to choose my favorite works of architecture in Abu Dhabi, as all of them deserved the first place! Anyway, after a while, I managed to pick 4 buildings. 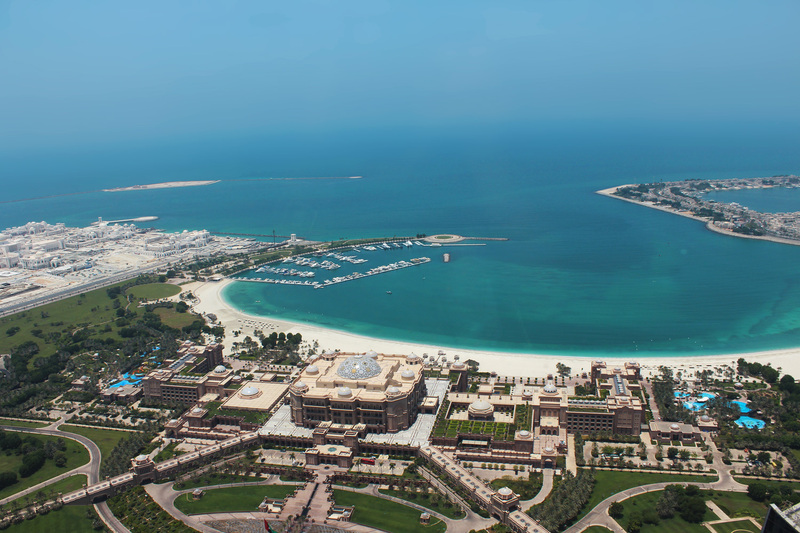 Built as a landmark showcasing Arabian culture, Emirates Palace has created a niche in luxury hospitality. Traditional materials and motifs were blended with the latest technology. The building’s exterior of marble, granite and stone includes self-cleaning coated glass spandrels and balcony fronts. This staggeringly luxurious hotel cost a knee-weakening £4billion to build – the second most expensive the world has ever seen. Perhaps unsurprisingly it has been awarded the exclusive rating of 7 stars, something reserved for only a handful of hotels across the world. 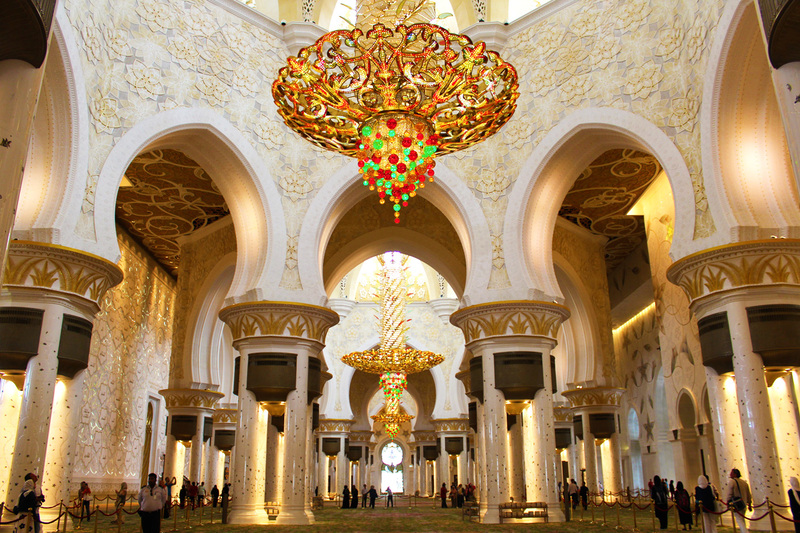 The Sheikh Zayed Mosque is a dazzling oasis of white stone, gleaming light, and staggering proportions, and it is a must see for visitors to Abu Dhabi. I loved this place so much that I dedicated a whole article to it, which you can find here. 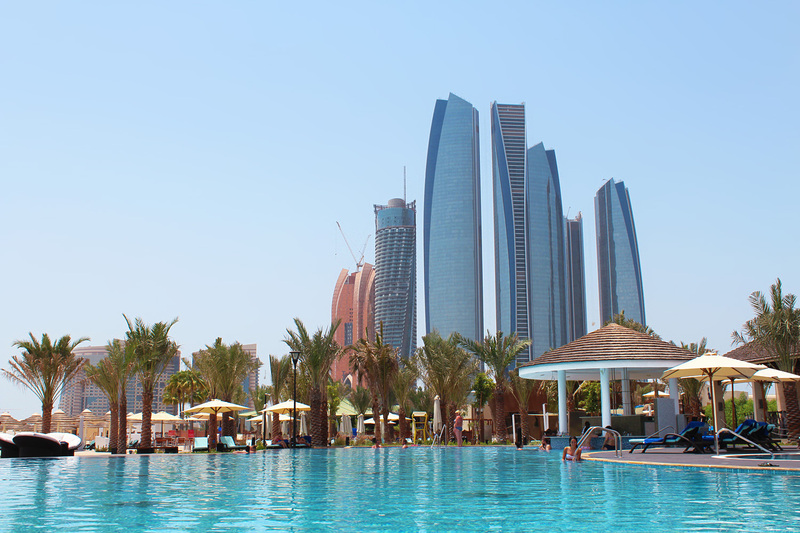 “Etihad Towers” is the name of a complex of buildings with five towers in Abu Dhabi. A reflection of the city’s modern, sophisticated and luxurious ambitions, these skyscrapers are a spectacular and sparkling addition to the city’s skyline. The towers are located opposite the Emirates Palace hotel and feature many offices, apartments and a hotel. Tower 2 has an amazing Observation Deck in the 75th floor, which is the highest vantage point in Abu Dhabi. It offers stunning views across the city and Arabian Gulf, I really recommend a visit. 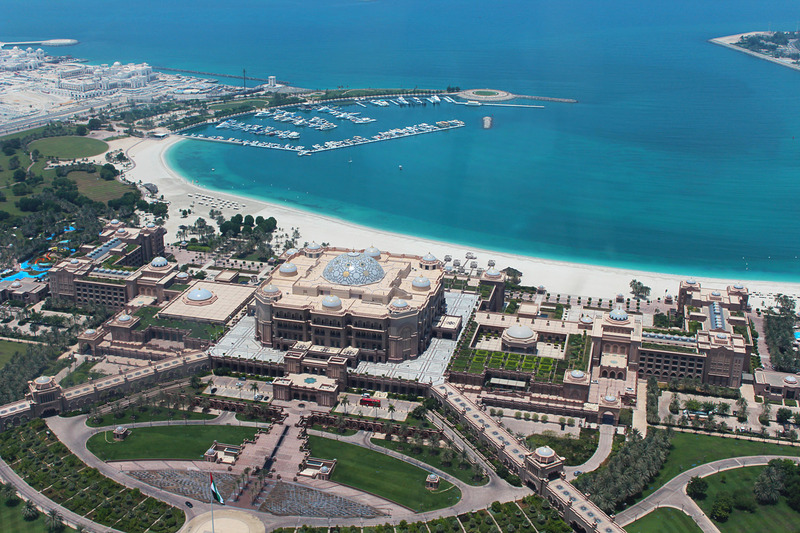 FYI, I took the photos of the Emirates Palace you just saw from one of the many windows of the observation deck overlooking the city! This is a spectacularly cantilevered building which adds its unique architectural form to the Abu Dhabi skyline. 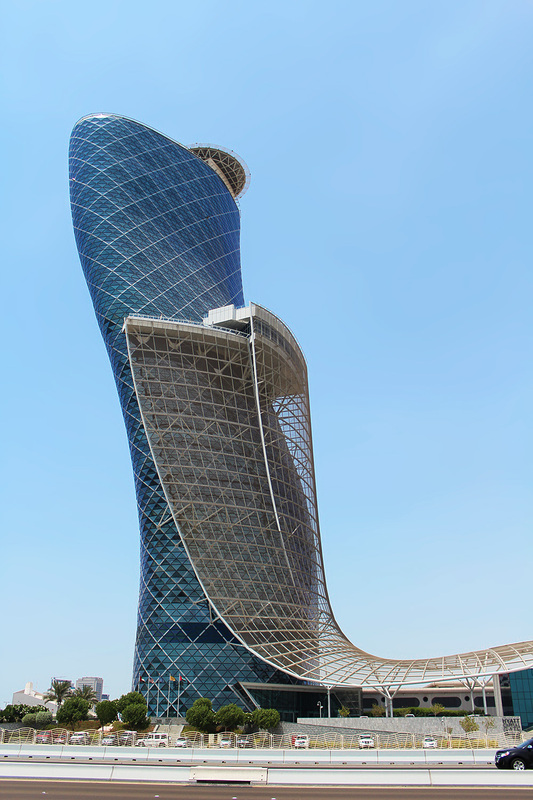 Affectionately nicknamed the ‘leaning tower of Abu Dhabi’, this building has been specially designed to lean at an angle of 18 degrees (that I sadly discovered is almost four times the gradient of the Leaning Tower of Pisa in Italy) and stands 160m tall. Part of the building is a hotel which is a five star establishment with almost 200 rooms and suites on offer. 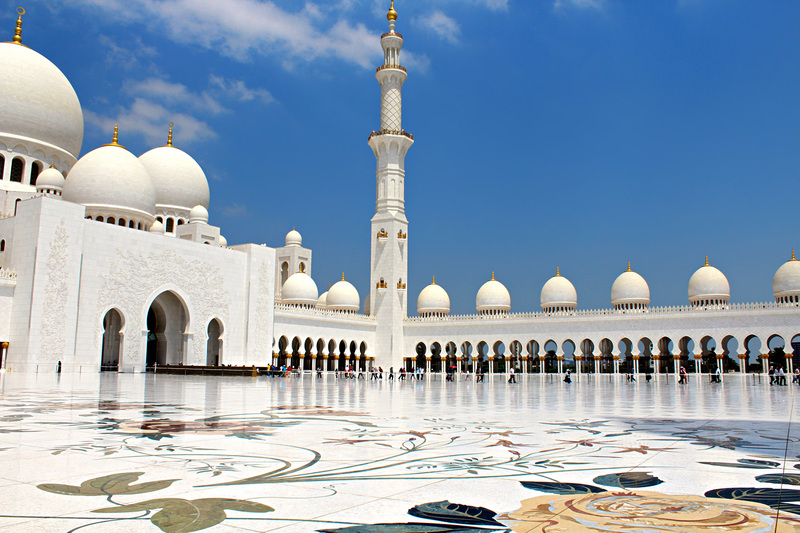 What is your favorite work of architecture in Abu Dhabi?